As consumers have begun to embrace smartphones with integrated cameras, and the idea of mobile barcode scanning has hit the mainstream, there are many emerging “high resolution” barcodes flooding the market. Among these are QR Codes, Microsoft Tags, Jag Tags, and a multitude of other codes. With any barcode, there are definitely going to be marketable advantages – with the MSFT Tag, the platform is very error resistant, and can be implimented in a number of forms. With other platforms, there’s the potential for a nicer looking code. Additionally, apps have emerged that don’t even need a code, and can scan real world objects and posters, effectively turning an entire printed ad into a code. On an initial pass, I’d tend to advise against using any new kinds of codes, and advise to use the ubiquitous QR Code. Often times, as is the case with Microsoft Tag, there is limited compatibility, and limited penetration of hardware that can read it. I believe that one of the main factors slowing down the adoption of QR codes, or any codes, is getting readers, and reader applications into consumers hands. QR Codes has already started to make a dent, so why not go with the platform that actually has the highest installed user base – QR Code. Additionally, QR seems to be the world standard for high res codes – Japan uses them everywhere, and they’re quickly emerging in other parts. For a client who may be looking to launch national, and international campaigns, sticking with the global standard is the way to go. Regarding the “look” of QR codes – they don’t always have to be so ugly and large. The size/complexity of a QR code is directly proportional to how much data it needs to contain. A QR code with a short link will be significantly smaller than a code with a huge amount of text. To that end, it’s sometimes advisable to have clients use a link shortener like bit.ly or goo.gl to shorten longer links to their target sites, and then encode the short link in their QR Code. The result is a smaller, more simple code that can take up less space on a page, and be more robust for scanning at a variety of sizes. Additionally, QR codes do have a degree of error correction, which can be used to customize the look of codes. Brands have been known to embed their logo in a qr code, or obstruct it partially to blend it into an ad. Regarding shortening URLs for QR Codes: Most popular URL shorteners actually already have QR code generators built right in! For Goo.gl, simply go to the short url metrics page, and not only will you see click tracking metrics (perfect for tracking a QR Campaign), but you’ll also see a QR code for that short url. Magic! You can even campaign code the long links that you shorten, to zing back metrics to analytics. On additional trick with Goo.gl short url, just add a “.qr” at the end of any short url, and you instantly have a qr code. You can even use size parameters to get huge ones. Martin Marks for Esquire: Can Men of Sport Also Be Men of Style? Question, when you mentioned that some technologies do not require an actual code, and you can scan the real world object. I found this technology a few months back but forgot the name of it. 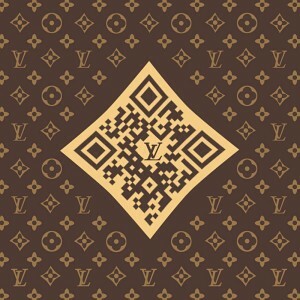 I think it’s sensational and transcends QR codes. Do you know the name of this technology or who is working on it? I would be greatly appreciative.